Another indie hit from last generation has just arrived on the Nintendo Switch! 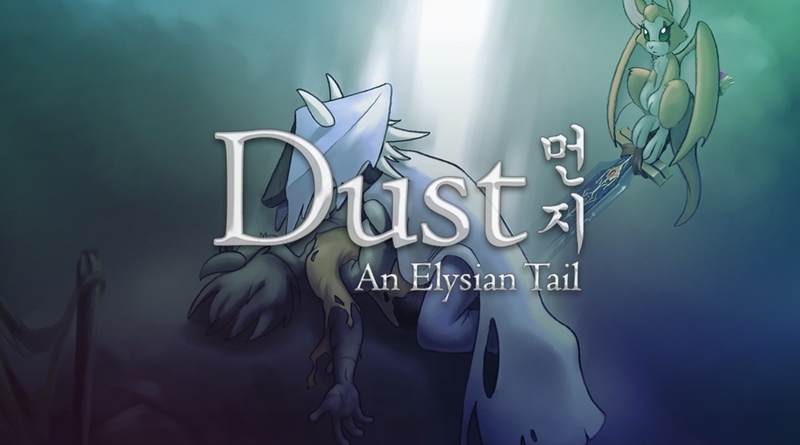 Dust: An Elysian Tail was released in 2012 on Xbox Arcade and despite receiving high praise, it is yet another game I missed out on. The colorful art style and a promised blend of Golden Axe-style combat mixed with Metroidvania exploration made it highly desirable for me. However, as a Switch owner I have seen so many of these games in the last calendar year, and wasn’t sure how a 6-year old game would live up to newer titles like Hollow Knight. Luckily, if you’re a newcomer to the game there’s still plenty here to like, even if other games have iterated on the concept over the past few years. You play as Dust, a young man who has lost his memory and is initially searching for clues about his identity and where he hails from. You are immediately aided by a talking sword, the Blade of Ahrah, who serves as your weapon throughout the game and Fidget, a fairy-like creature, who assists with attacks and acts as your guide. The game takes place in the fantasy world of Falana where all the characters are anthropomorphic. The towns are beginning to overrun with monsters and Dust agrees to help vanquish them and assist the townspeople on varying quests, all the while discovering the hidden secrets of his past. Dust is all two-dimensional and plays, looks, and feels a lot like a Shantae game. You explore individual areas rather than one gigantic interconnected world, but you’ll continually have to return to levels once you gain new abilities and special items. As you visit towns and talk to the villagers, you’ll accept new quests – such as locating materials, defeating pesky monsters, and finding lost children. Taking on new missions will usually open up new areas to select on the map and you can choose to visit any previous location once you exit an area. Most of the levels are fairly large, but easy to navigate with the simple mapping system. There are often several different stages to choose from, depending on if you want to pursue the main quest, or continue to complete the secondary missions – gaining new items and experience while doing so. The Blade of Ahrah is your sole weapon and the combat in Dust is really a fantasy-themed beat’em up / 2D hack & slash game. Hordes of enemies will surround you even early on, and right away the focus is on performing combos by mixing sword attacks with Fidget’s magic abilities. The combat isn’t too exciting and much of the time it is a simple button masher with minimal strategy. You can gain gold, experience, items, and materials when defeating the monsters. There is some light platforming in the game, but is not a focus point. When leveling up, you can choose to upgrade your max health, attack, defense, or Fidget’s skills. There are dozens of materials to collect and once you meet the blacksmith you can craft different armor and items, as long as you’ve found some blueprints to make them of course! Treasure boxes are enormous and always contain something valuable. Keys are expensive and hard to find in the wild, so gaining access to a box is joyous. A bonus portion of the game is locating the captured 12 creatures hidden across Falana. Almost all of the dialogue is voice acted, and there is too much of it. Dust and your sword are both boring characters and Fidget is extremely irritating. She has a very high-pitched voice and chatters relentlessly. She reminds me a lot of Lorna from ‘Orange is New Black’ (for those of you who have watched that show). Fidget’s humor usually fell flat to me and I think anyone older than 15 won’t find much of it very funny. The story felt contrived and the characters, although cute animal creatures, really didn’t thrill me. The game has a lot of dark and mysterious elements, but it conflicts with childish characters, immature humor, and below-average voice acting. I love the artwork which offers a unique blend of a dark atmosphere mixed with a beautiful color palette. There’s a welcome variety in the settings and the monsters. The piano-heavy soundtrack is fitting and reminds me of a number of solid OSTs from PlayStation 1 and 2 titles. None of the tracks are ultra-memorable though; just relaxing and pleasant. Despite many shortcomings such as an average story, childish characters, weak voice acting, and repetitive combat, something about Dust still grabbed me. Completing quests, unlocking new areas, and being able to explore more and more of Falana kept me wanting to play deep into the night. The interface is fantastic and the leveling system and material building were perfectly executed. Discovering the gems that unlock the corresponding colored doorways and rescuing the captured creatures were very rewarding experiences that made me overlook the some of the other minor problems. All of these years later the game still holds up and is another fun Switch game to add to the extensive list of good games on the system. Dust is not a perfect game and since its 2012 release many games have improved upon this formula. It has a fair share of weak spots, however, I still had a really good time playing through it. It is a game I’d recommend trying out, particularly for fans of 2D classics like Golden Axe, Shantae, and even Castlevania, but I can see many gamers may be turned off by the voice acting, low difficultly, and childish attributes in the game. Dust: An Elysian Tail was reviewed using a final retail Nintendo Switch download code provided by the publisher.